ABC News – A Polish couple was killed after they tried to take a selfie on a cliff in Portugal and fell hundreds of feet, Polish Radio reported. 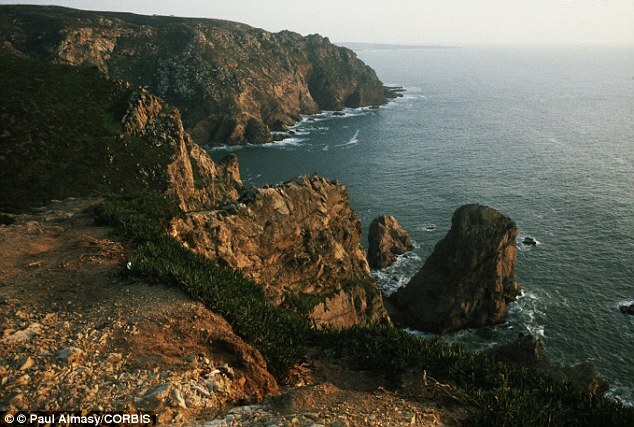 The couple fell from the rocky edge of a cliff in Cabo da Raca, Portugal, on Saturday. They would have had to cross a safety barrier in order to reach the cliff edge, the Polish Radio reported. Their young children, ages 5 and 6, were with them and witnessed the accident. They are currently under psychiatric care, according to Polish Radio. A Spanish couple that was also at the location called emergency crews and rescuers tried to recover the bodies using a helicopter, but had to give up because of the rising tide on Saturday. The bodies were recovered on Monday, according to Polish Radio. Very responsible move by parents with 5 and 6 year old kids. Leave it to a couple of Poles to consider a roped off area as merely a suggestion. At least their kids were just onlookers and they didn’t try to include them in the epic selfie. Probably only because the kids weren’t tall enough to fit in the same shot though. What about taking a selfie would cause you to lose your balance? Maybe they were going for the lean back Matrix bullet dodging move. Would’ve been legendary if they still managed to snap the pic while falling and the phone was recovered undamaged. Their orphaned children would have that final image to cherish for the rest of their lives.